Hey, hey, hey! I hope you are all doing lovely. I just wanted to pop on and tell you guys about my newest YouTube video! 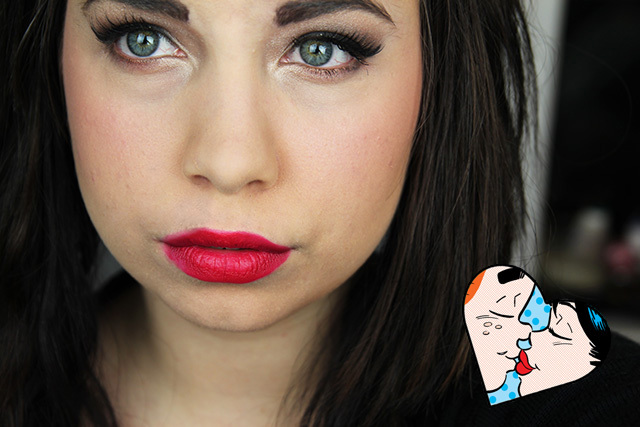 Today I upload a tutorial for a Valentine's Day look inspired by Veronica (Archie's Girls). This is an extra special tutorial because it was in collaboration with Jessica, better know as TheModMermaid! She did a tutorial for betty, and I for Veronica. I am really excited for you all to see both of our looks, and I hope you like them! I have linked her video throughout my video and also down below! Let me know what you guys think! Click here to watch Jessica's Betty Tutorial! Awe thank you! Me too, the packaging is to die for! Oh, wow! This is such a gorgeous look! You look amazing. This is a lovely look, You have the prettiest eye colour!